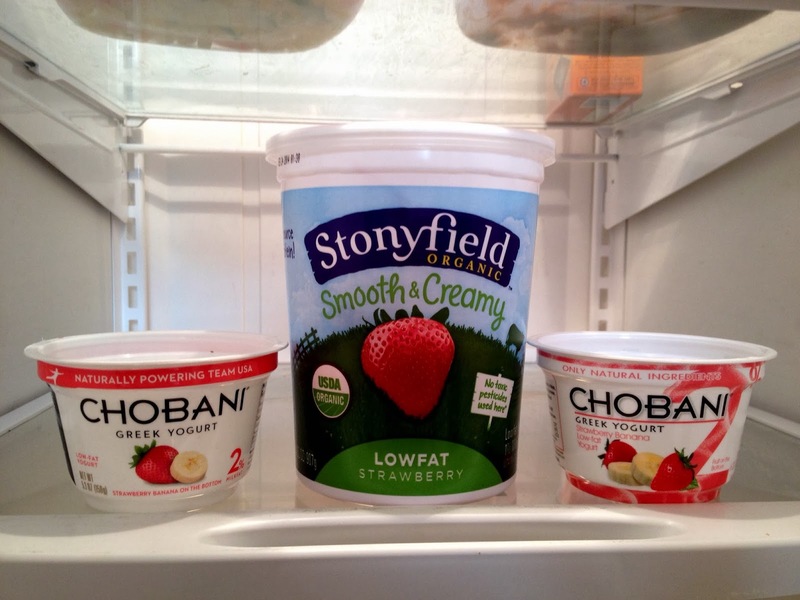 My first post for New Best Friends Forever was about the wonders of Chobani Greek yogurt. I lost weight eating it. I loved the flavors. I liked the fact that the company donated a percentage of its profits to charity. I talked it up to anybody who'd listen. Well, girlfriends, all good things must come to an end. We know this from drugstore cosmetics. Love that primer from Revlon? Give it time. It will disappear, only to be replaced by the new, improved model. Around the holiday season I noticed that there seemed to be less yogurt in each Chobani tub. I'd peel back the top foil and there'd be this gap between the top of the tub and the top of the yogurt. Same size tub. Less in it. Turned out 2013 was not a great year for Chobani. First, there was the recall in September because some containers from the Idaho plant were bulging with fizzy yogurt, due to what turned out to be a fairly harmless mold. Then, Whole Foods announced that it would phase out Chobani in early 2014 for various reasons, including complaints that it was not really "natural" if it was made from milk from GMO corn-fed cows. Then it was revealed at the end of the year that, yes, the company had shrunk the contents of its containers from 6 ounces to 5.3 ounces, a decrease of about 12%. However, the price didn't drop, nor did the size of the containers. Only the design on the labels. In the photo above, the old stuff is on the right, the new-and-improved on the left. Tricky. But, we weren't fooled. You shoulda seen the outcry on Chobani's Facebook page. I gained lots of new Twitter followers after I complained. We felt robbed of a brand and product that we had really really liked. Meanwhile, the company is working hard to recover from last year. The company has an ad planned for the 2014 Super Bowl this Sunday, its first ever for this sports event. Look for it in the 3rd quarter. 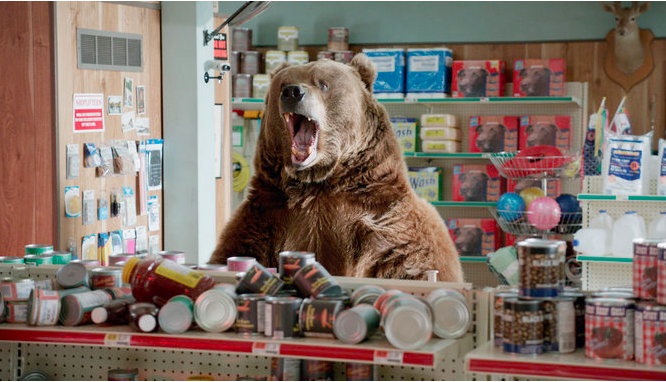 I think the bear looks like all us angry former Chobani fans.